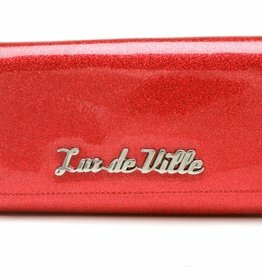 Our signature wallet that will compliment any of your Lux de Ville handbags. Functional yet fabulous!! Hooray! Inside you will find two heart shaped picture frames, two bill compartments, pen holder, zippered coin pouch and plenty of card and ID holders.